Hot FM Projek Radio. COme lets join! Hello peeps. This morning when my hubby and I drove out to his office, we heard one audition to become a DJ radio at HOT FM! 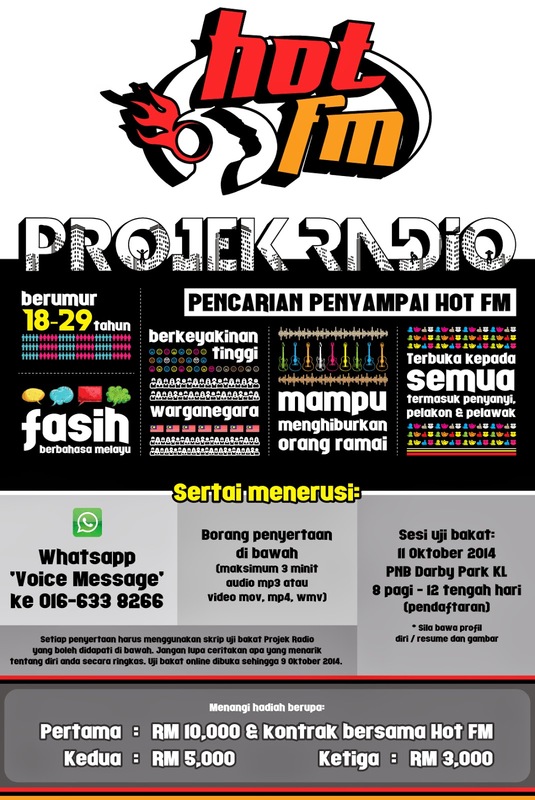 Ok , the project was name “Projek Radio” the search for radio DJ at Hot FM. This is one opportunity that was given to everybody that is age from 18-29 years old to try out this audition and the person who have the skills and talent to become a DJ will win RM10 000 and one year contract with HOT FM!!! Yah! This is one awesome prize right! And this opportunity maybe one life opportunity. People who are ethuciastic and have the talent to become a DJ radio can give it the try. Why not right? You can submit your audition entry via Whatsapp, by form in the Hot FM web page or by auditioning. And for more info about this event, you can visit Hot FM official web. Becoming a DJ radio was my little dream when I was a kid. I loved to hear HOT FM because the DJ’s are very funny and they can really make my day. I love to hear the “Panggilan Hangit” where the DJ radio make one fake call to the persons that they would like to prank. So, for those who have the talent to become a DJ radio, you can join this audition!we will never know that your rezeki is to become DJ radio right? May the luck will be at me (I want to enter the audition too) and your side, Amiin..
Hello Bloggers and my silent readers. Here I would like to share with you one good news that I had just received from my BBF Dira. She said that we are the 10 lucky winners to have dinner with Scha Alyahya!!!!!!!!!!! OMG, I am so exited to here the news adn can’t wait to meet personally Scha and her baby (if she bring along Lara Alana with her laa). This event will be held at Sunway Piramid and the location will be informed soon via email. I just can’t believed that our entry will be choosen, because me and Dira were just trying to enter that contest. Not for serious purpose! Heheheh. But lucky was just by our side and we got to meet Scha in this event. If I am my own Boss, I would..
Assalamua'laikum. Hello bloggers and silent readers. Today is Friday and usually on Friday I seldom update my entry. But today I would like to share with you my dreams, if I had the chance in doing my own business. 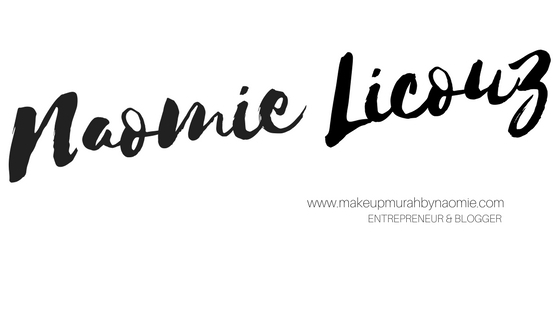 So, if I had the chance on doing business, my aim is to open a beauty store with my own product line. You see, in Malaysia there are not much beauty product especially in makeup products. There are a lot of other countries brands such as, Maybelline, Loreal, and others that majority conquered the drug store. So my dream is to create new makeup product that is healthy, easy to used and in high quality with affordable price. 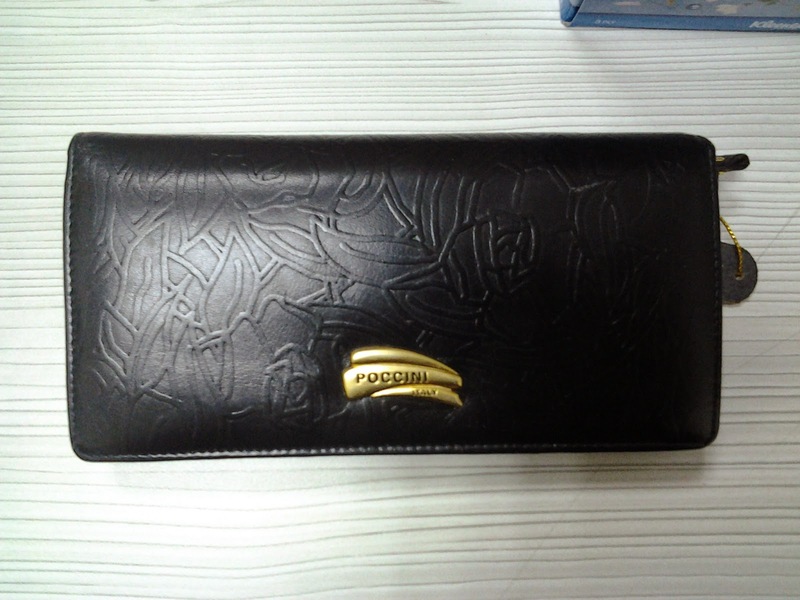 These are the quality that customer need, they love to shop with discounts, with lower price and plus the quality are at the highest. today, I'm using Maybelline, In2it, Loreal and Revlone product for my makeup stuff. And also some other products that I bought from DC (dataran Cendekia) in UiTM and some in Ab-Qari store in Bangi during my internship last month. that was the Eyeliner that I'm currently used. and I do recommend it to you. So, Lets get back to our main topics for today. 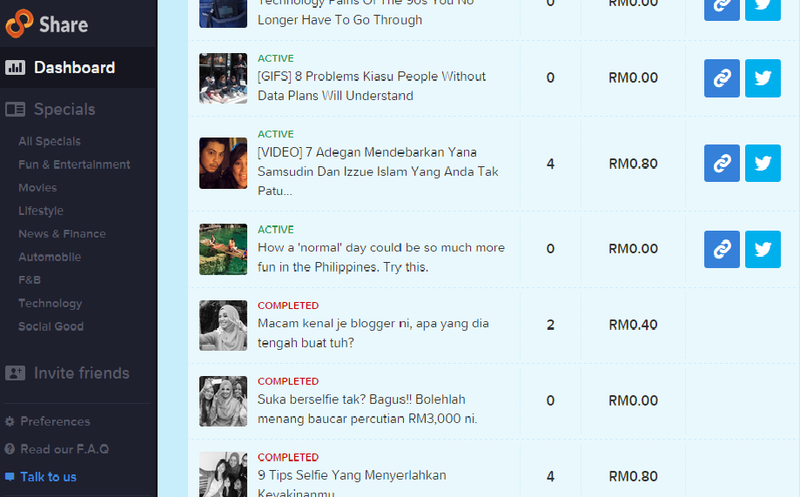 Now Lactacyd had organized a contest to win at least RM30k to fullfill our dreams. And for that I had enter the contest with my own ideas of business. Hope to win this contest and for that, I really need your help in voting me in their gallery. 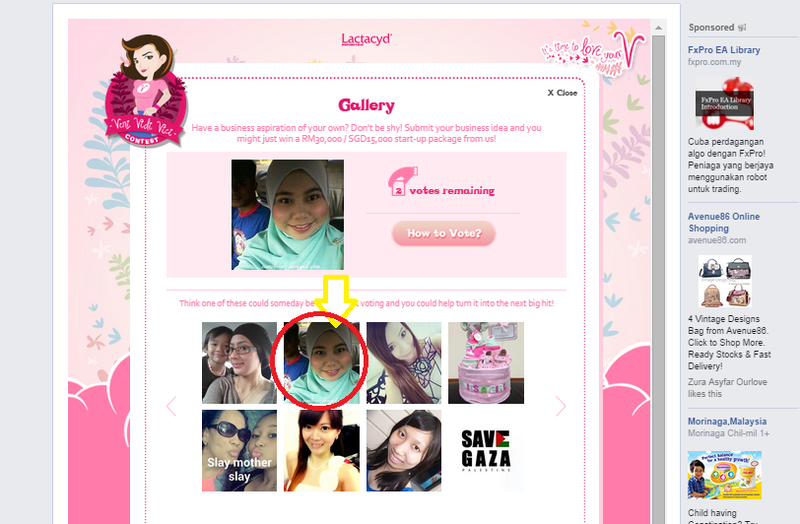 click on the voting button and find my picture there. Vote for me as many votes you can. If my votes are high enough and I am selected to become winner for the contest, adn then make my dream come true, I will giveaway 100 pieces free makeup trial kit for my votes and the best part is that you call will be awarded free membership in my makeup products. So hurry! visit Lactacyd Fan page at Facebook and star voting mow. After you vote, do leave a message below. so that we can keep it touch. Hello everyone, last night my hubby and I were at the Ecurve for the Premiere Screening for The Equalizer at the Cathay Cineplex. We were very excited to go there because I had been waiting for this ticket for last month. And Syukur, Sinar FM had given me this chance to watch this great movie. I had invited some friends to watch with me, but unfortunately they can’t make it. But anyways, lets make a movie review about this film. Synopsis: This film is about a former elite army, Rober MacCall(Denzel Washington) that had retired and want to start a new life as a normal person. His normal life never felt so normal because he just felt the emptiness in his life as his wife died.. Then he meet Alina/Teri (Chloë Grace Moretz),a young girl that had to become a prostitute and force to serve men. Robert was the one that had give her some advice to choose the path in life. One day, Robert relize that Alina was not around at their usual restaurant, and he was informed bu the bar tender that she was in the ICU Hospital. He went to the hospital, and he saw that Alina was already beaten up by the Russian Gangster so badly. Then he meet Alina’s friend, and he tried to gain info about the persons who did this to Alina. A night later, he went to the club where all the Russian gangster had their office and tried to negotiate with them about giving the freedom to Alina. But, Slavi (head of Russian Gangster) refused and insulted Mc Call. McCall had no other choice but to kill them all. (the killing scene was very tragic, and until now I can feel the pain that the gangster had! Wooooowowowo! After he manage to killed all the gangster, he relized that, to make something that really matters was to help people that really needed help, No matter what they are or who they are. He help so many people around him and he also teaches us that our life may be is so precious. And we can do what we want in life that is in the good way not in a bad way and not to be some bad guy but using the badges of a police!! The best part of this movie are the fighting part. This movie is not totally full with action act, but when it comes to fighting scene, we can see the efficient fighting skills that Robert McCall have. And his uses wise word. No cursing like F___, and B____. My hubby said that he wanted to watch this movie over and over again because he loves to watch movies that make him think deeply and full with messages. So, above there are some parts of movie that I’ve already written, and for those who want to know the ending you better watch it at your nearest Cineplex. Orite! Assalamua’laikum ladies. Today I will review one of the amazing product that everyone might be interesting to try and consume it for your daily life. The one thing that everybody would like to maintain is their beauty. Who would not want their beauty to be fead out, right? Same goes with me. I have tried so many collagens before but this was my first time to consume the Stem Cell. Ok, the stem Cell that I would like to introduce is from De Beauty: Reborn Stem Cell. Reborn Collagen Plus is the only all-in-one beauty beverage in the market. It can truly indulge your skin to get the “moisturized”, “whitening”, “firming”, “delicate” and “beautifying” effect! Here I would like to give some information about this magical Stem Cell. Collagen is the protein of connective tissues. It has a huge degree of elasticity which is also an important part of the composition of ligament and tendon. The collagen also dominates the elasticity and recovery of our skin. As aging takes place, eventually it will cause wrinkles. What are the problems can Marine Collagen Peptide solve? Our body needs to absorb 4,500mg -5,000mg of Marine Collagen Peptide every day. Black eye, eye bag, fine wrinkles, wrinkles, spots, freckles, large pores, neck wrinkles, scar, dull skin and double chin, are the effect of lacking collagen peptide. Marine Collagen Peptide will be able to help in such conditions. 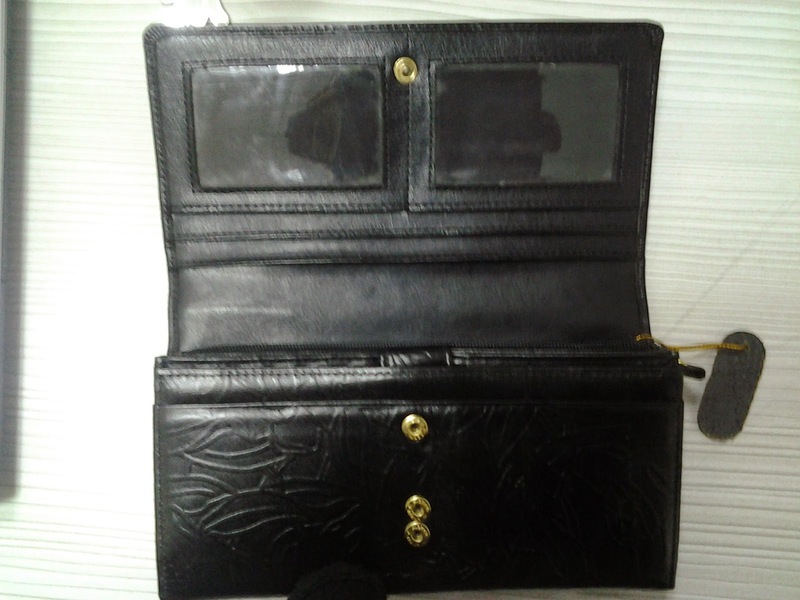 · Effectively reduce black eye, eye-bag issue, by having a pair of charming eyes. 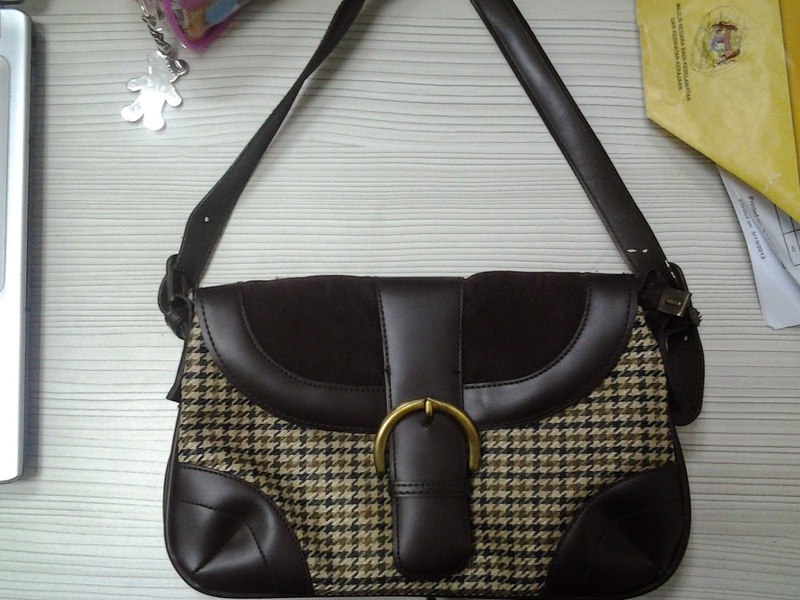 For women, the chest and figure can be considered as “career” and be seen as their achievement. A woman with her perfect “cleavage” is every woman natural mission. With a perfect figure, then only be able to show the fascination of famine. The key of confidence, fascination is determined by a lady’s “career” – that is the shape of her breast and her figure structure. For men, Pueraria Mirifica helps to firm the muscle, and smoothen and soften the skin. It is also very useful in anti-aging and solves the acne problem. The precious Pueraria Mirifica is definitely a perfect plant. · Breast dysplasia, flat or size not even? · The breasts shape not nice looking, outwards and sagging problem? · The skin texture surrounding the breasts area is rough and dull? · Shrinking breast, soften and lack of elasticity? · Not satisfied with the breast outlook? Pueraria Mirifica consists of more than 13 types of active “phytoestrogens” and “isoflavones” which are able to help stimulate and activate the secretion of women hormone and promote the growth of mammary gland and breast cells. · Reduce pigmentation, restore its originally light reddish colour. So, i think that my breast will be enlarge too ya! Hihi. Can’t wait to see this result. Soy Isoflavones promotes regeneration of cells, collagen growth and anti free radicals in the body. Therefore, it helps to enhance the elasticity and firmness of the skin, eliminates fine wrinkles and wrinkles as well as free radicals to prevent the skin damage due to the exposure under sunlight. At the same time, it also helps to control pigmentation and prevent the forming of freckles and spots. From women’s perspective, Soy Isoflavones contains function which similar to human estrogen and it can also help in firming the breast and balance hormone. · To overcome sagging skin to become firmer, smoother, softer and more moisturized. If compared with normal moisturizing products, Hyaluronic Acid has 500 times more moisturize absorption level. Hyaluronic Acid helps skin to absorb and retain skin moisture to prevent dried skin condition. Hyaluronic Acid also helps to balance the oil and moisture level of the skin in order to maintain its smoothness and moisturized condition. The research showed that the Hyaluronic Acid is a very effective moisturizer, and amongst the most effective moisturize substance of all. L-Glutathione retains in human liver, and it is an important anti-oxidant of human body. It helps to eliminate free radicals of the human body and cleanse body toxin. Furthermore, it also helps to detoxify the liver and reduce the burden of the liver. L-Glutathione is an essential element of whitening effect. L-Gluththlone will be able to dissolve in deep skin level and eliminate pigmentation and prevent any new pigmentation too. It turns pigmentation and yellow pigment to become red pigment which will help to provide a total whitening effect to the skin, and turn your skin to be smooth, supple and radiant like a baby. It restores damaged cells and prevents any damages of free radicals, stimulate skin regeneration. L-Gluththlone also plays an important role in prevention of ultraviolet damage effect. So ladies, What are you waiting for? Wait until your beauty fades away? Oh noo!!!!!!! This is the time for you to gain your youth and your beauty. Don’t ever let your men to find other women because of you are getting old and ugly. And do your action now. This is the best Reborn stem Cell that I ever had. And the effects can be seen in my first trial. I can’t wait to get home and drink up my Reborn Stem Cell at home. And I will be updating the result after consuming this wonderful product later. 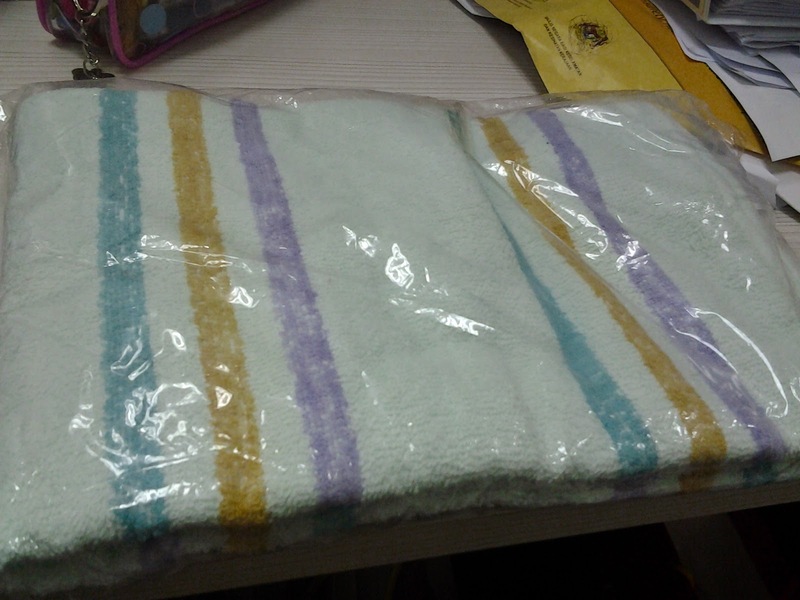 If you are interested with this product, you can get this at the Hishop.com.my at the Price of RM330 discount to RM220! It is worth it and you can also get 200 points if you have completed to register at the Hishop.com! When I check back the SMS I got from Sinar FM, the movie Premiere will be on 24th of September 2014. Hahahah. . I just laugh and informed directly to my husband about the news. He just laughed at me. I know what he was thinking at that moment. He might think that I am so over excited for the movie premiere and forget everything besides it. Thank God that we haven’t go to the Ecurve tonight. If not it will be a waste of time, money and energy. Huh! So you guys who have nothing to do tomorrow night can join my Giveaway and win 2 pairs of ticket to watch tne Premiere Screening of The Equalizer at The Ecurve. Want to Win this GA, Just go to my previous post. 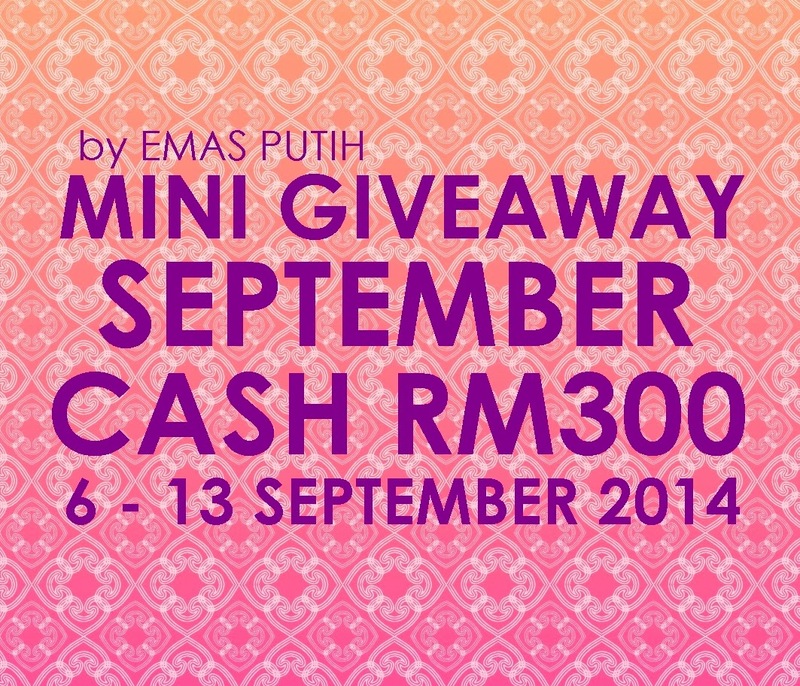 The Lucky winner will be informed Via Email, and SMS. 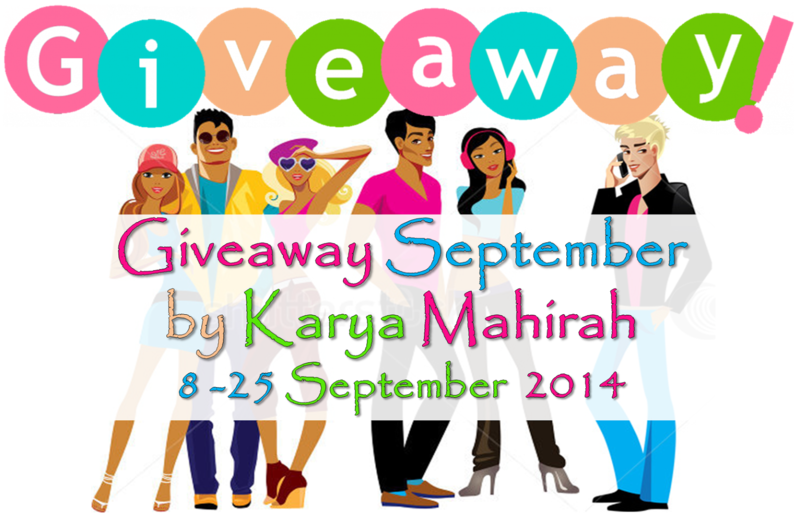 Don'f forget to join my Giveaway. Giveaway; The Premiere Screening The Equalizer. Hurry!! Hello Bloggers. Sudah tidur ka? I have good news to share with all of you bloggers. Especially to those who are free tomorrow night. . Why?? Because I wanna share with you two Premiere Movie tickets: The Equalizer, at Cathay @ Ecurve!! To those who haven seen the movie thriller, so here I would like to share it with you guys. What do you think about this movie? Is it awesome? So, who wants these tickets? Here I would like to give it to the person thats give me the most creative slogan and to complete all these task. Compulsary! 3. Click on: I would like to be friend with Naomie. 4. Answer this question: Who would you like to bring to watch this movie with me, and Why? Send your answer to the comment below. Please include your Name, Email address to me too. 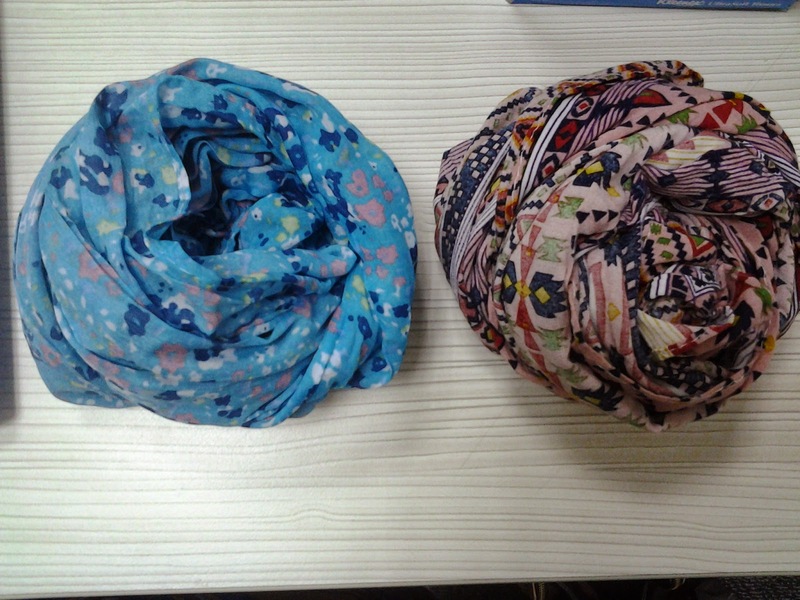 This Giveaway will be end at: 12 noon tommorow. I will notify the winner via email. So, Thanks to all that have been taking part with this giveaway and thanks to Sinar FM that gives these free tickets to me and Give me the chance to bring my fellow blog friends with me. New Semester, New Niches and New Schedule. Orite, memandangkan sem baru ku akan bermula pada minggu hadapan, jadi kekerapan numi untuk berblog akan terhad. Huhu, Sedih memang lah sedih, tapi pelajaran haruslah di utamakan. In Sya Allah, Numi akan fokuskan niche baru. Untuk sem baru ni. Dan masa untuk berblog hanya boleh di lakukan selepas waktu kelas. Orite? Fair enough..
Niche terbaru yang numi akan perkenalkan selain daripada personal life stuff adalah fashion dan makeup. About my schedule for updating new post, I will be updating on Monday, Wednesday, and Friday. Monday: will be my updates on weekends. What did I do during the weekend. Friday: will be a makeup review or fashion or movie review. So these will be my new schedule and niches. And I hope there will be tons of viewers and comments from you guys. So stay tune! Alhamdulillah, harini tamat sudah Internship numi selama dua bulan setengah. Pelbagai cabaran yang numi dan husband lalui sepanjang perjalanan kami ke Bangi. huuhuu. Numi sangat bersyukur kerana di kurniakan rezeki untuk berpraktikal di sini bersama-sama orang2 hebat seperti En. Sani (PM) kiteorang yang sporting walaupun kadang-kadang tegas jugak. Abang Fazuan, Abang Bad, Abang Aizat dan Abang Haziq yang banyak beri tunjuk ajar kat numi. Encik Mustaqim yang sesekali memberi info kepada numi. walaupun pada mulanya numi memang takut nak tengok dia. lagikan nak berdepan. ok2, numi nak update lagi, mama tgh oncall..
Tiket Flight Air Asia RM0.51! Assalamua'laikum. Kepada yang tengah nak cari tiket flight murah dan lagi berbaloi, mari-mari beli di Air Asia sekarang. tengah ada promosi di AirAsia website. mana lah tahu tahun depan korang nak terbang ke Penang atau Kuala Terengganu. Jom! Numi pun tengah nak usya tiket flight kt KK ni. hihi. Honeymoon delay..
[BREAKING] AirAsia's RM0.51 flight ticket promo confirm will drive Malaysians crazy! 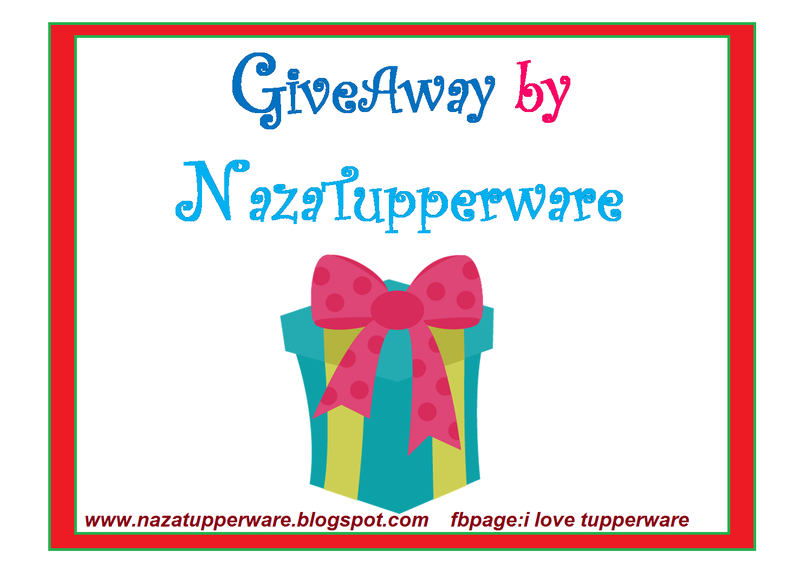 Another Giveaway. ! Jom join..
Have you seen how supermodel Daria Werbowy rocked MANGO’s latest collection? Need a reason to travel to the Philippines? This website will help. terima kasih daun keladi, lain hari klik lagi. Monday blues? Jangan! Asal hari isnin je rasa malas kan. Numi pagi2 ni dengan semangatnya nak cek email yahoo. Mana tahu ada blogger2 yang nak jadi sponser untuk GA numi tak lama lagi. Bila bukak email, Alhamdulillah ada beberapa orang yang nak sponser hadiah. J Syukur. Pencarian sponser untuk GA numi bulan depan masih di buka yer. Jadi sesiapa yang sudi nak sponser hadiah blh email numi details. Atau pergi ke Link ini. Semua orang nak kan duit kan, dan dulu pun numi pernah share tentang bagaimana nak buat duit melalui blogging. Dan harini numi nak share bagaimana nak buat duit dengan share advertisement melalui FB, Twitter dan Blog. 3 benda ni kalau kita ada salah satu daripadanya meamng sudah cukup memadai. Kenapa numi cakap macam tu, kerana melalui nya kita boleh share apa2 jer kan.
Kalau tengok di FB, ramai orang yang share tentang iklan @ promosi Pakaian,Percutian, Makanan, Minuman, Teknologi, dan apa2 jer lah. (kalau tak percaya, try klik link kat atas tu) Dan kita sebagai pengguna tegar FB, Twitter atau blog akan terdorong untuk mengklik iklan tersebut. Betul tak? Jadi setiap klik tu menjana wang. Korang tahu ke tak? Best kan?? Itu lah yang numi buat sejak kebelakangan ni dan hasilnya sangat memberansangkan. Seriously ok. Lebih masyuk daripada Nuffnang dan Churp-Churp. Dan ramai dah yang menyertainya!! Yang bestnya setiap iklan yang post akan di klik oleh orang secara random. Tak kiralah dia kawan kita atau bukan. Dengan sekali Klik jer boleh dapan 20sen. Kalau 50 kali daan rm10. Best kan??? Numi ni kan, asyik bercakap tentang kelebihan nya ajer, meh numi perkenalkan 8Share.com. Website yang sangat best untuk mereka yang nak cari side income walaupun korang dah tidur! Wah.. macam propa, tapi memang betul k.. Numi tak tipu dalam blog ni. Rugi! Nampak tak? 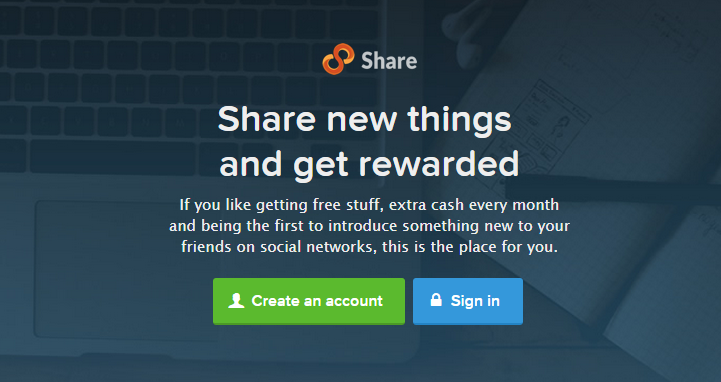 ini daripada numi punya Dashboard 8share dan numi sharekan sendiri hasil yang numi dapat. jadi apa tunggu lagi. 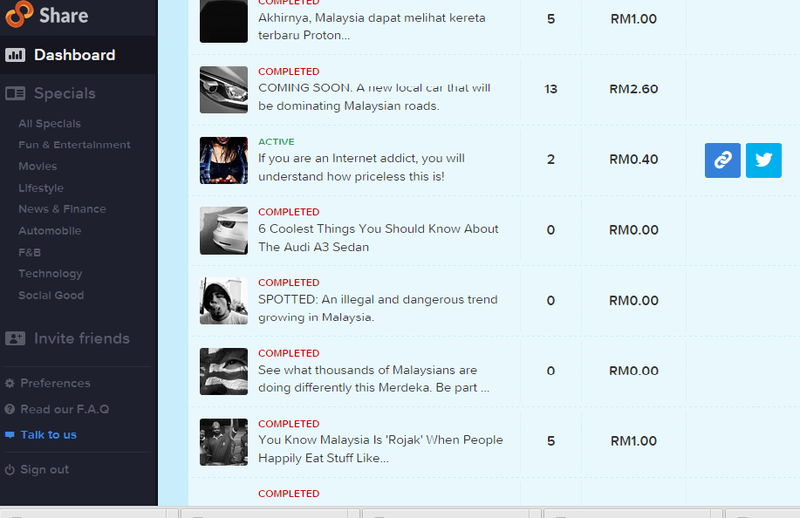 Jom2 Signup Di 8Share. Dulu pun numi macam tak percaya 8share ini, takut dia macam sesetengah website yang menipu kan, tapi tak. 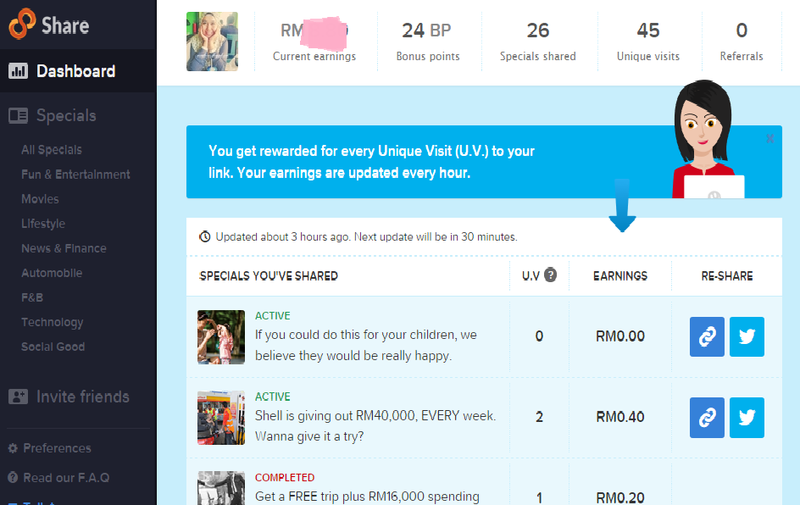 Sebenarnya 8share memberi hasil yang sangat besar berbanding beberapa website yang numi pernah try sebelum ini. dan hasil yang numi dapat memang berbaloi-baloi. Syukur. Ramai yang dah berjaya cashout hasil daripada perkongsian mereka tu dan numi pun sebagai blogger yang bijak turut sama2 berkongsi. Jadi korang yang baru2 berjinak dengan Blogger memang di galakkan membuat acc 8share ini dan mulakan berkongsi selain daripada berkongsi cerita korang je kan. Bek kita buat duit melalui setiap perkongsian tu. Masyuk k..! Jadi apa tunggu lagi, jom kita mendaftar sebagai ahli 8Share.com dan rasai kelainannya. Wah! Bila dan mendaftar, numi nak ucapkan tahniah yer. Dan jangan lupa clik setiap iklan yang numi post di fb tu.Selamat mencuba dan semoga Berjaya. Jangan lupa tinggalkan link korang di bawah tu..
Barakkallah.. Itu yang numi nak ucapkan kepada 3 orang sahabat numi yang telah melansungkan majlis perkahwinan mereka di Kuching, Samarahan, Sematan dan Simunjan. 4 tempat berbeza. 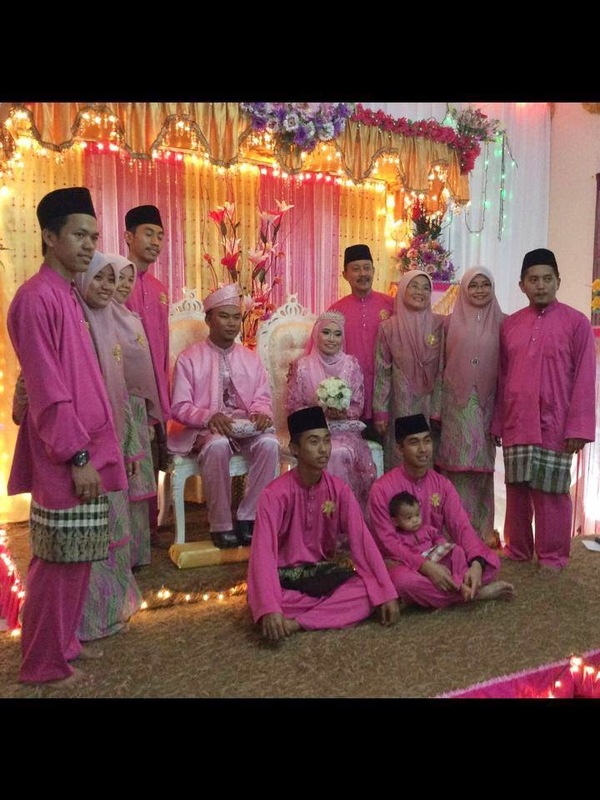 3 pasang pengantin. Shiela Awla, kawan sekolah menengah di SMKA SHOAW. Seorang yang penyabar dan lembut. Dan pasangannya , Ariff Fakri. Ke dua, Kak Adibah, dahulunya kakak program Perkepis. 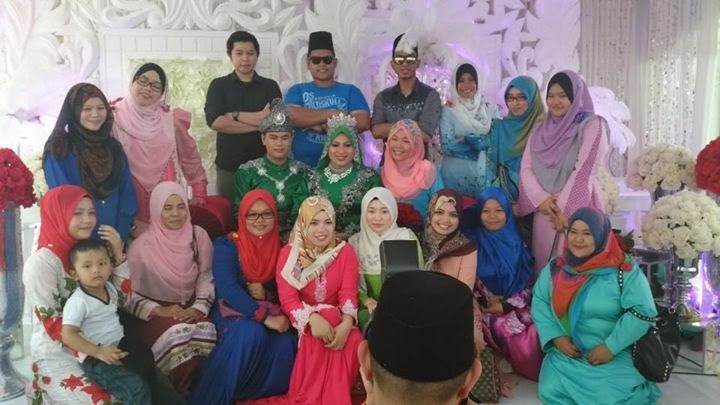 Kira senior lah, seorang yang banyak cakap dan cantik budi bahasanya. Kalau setiap kali berpelukkan dengan nya, pasti akan di bisikkan ke telinga numi sesuatu yang akan buat kami gelak bersama-sama. Dan pasangan nya Abdus Sallam, Senior numi di SHOAW. Dan ke tiga ialah Ekin. Geng gelak dang geng fasi PEKERPIS. Bila bekerja dia akan bekerja bersungguh2 dan bila berjumpa, mulutnya memang tak kan habis bercerita. 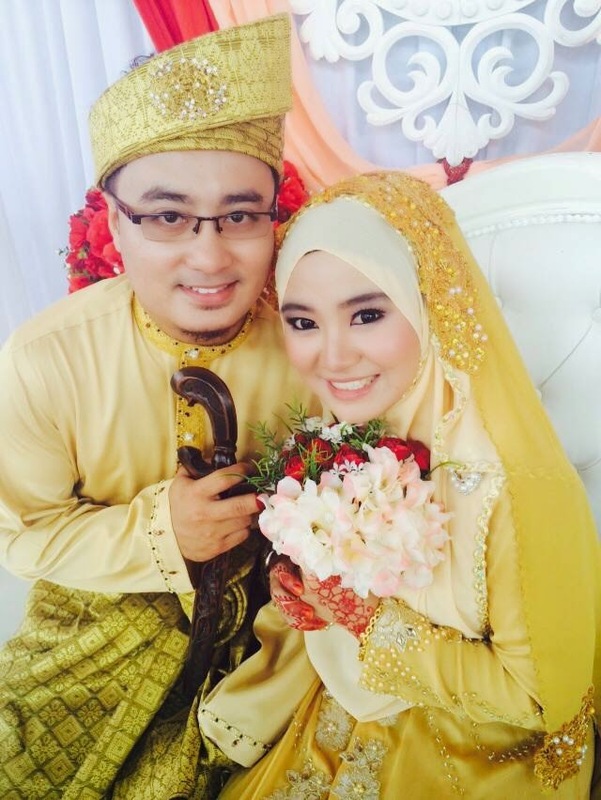 Selamat datang ke kelab isteri-isteri Solehah! Heheh. Saje nak cipta kelab. Untuk berkongsi resipi. Yer yer je kan. Heheh..
Kepada rakan-rakan lain yang belum berkahwin tu, cepat-cepatla. Nanti yang di tunggu tu di ambik orang.. kang ado yang putih mata. Hihi. 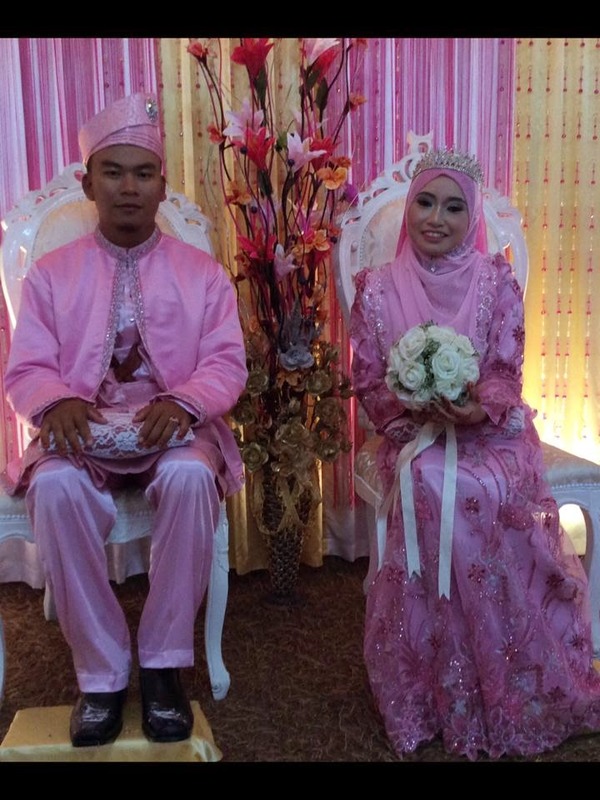 Sekali lagi numi ucapkan Selamat Pengantin Baru! Pencarian Sponser Untuk GiveAway Numi Yang pertama! Hai korang semua. 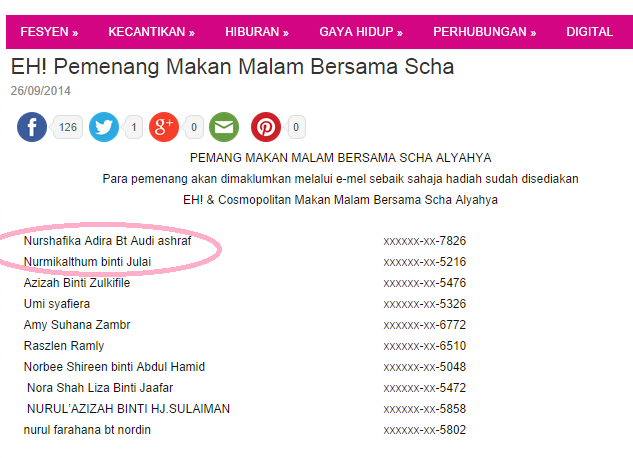 Baru tadi numi ada terbaca entry daripada Diana Rashid, tentang sponser yang nak cari GA utk di sponserkan. Numi memang nak buat GA untuk hari jadi numi yang bakal tiba tak lama lagi. Oleh itu, marilah numi menyeru kapada semua syarikat2 , blogger2, peniaga2 tak kira kecik atau besar kalau ada niat untuk mensponser GA numi yang bakal numi buat tak lama lagi. Dan ada banyak lagi lah! Jadi sesiapa yang sudi menjadi sponser GA numi ni, jom emailkan details korang kat numi yer. Barang-barang yang korang blh sponser: Anything. mengikut keikhlasan hati korang. dan si penerima pun akan rasa berbaloi menerimanya. Numi doakan semua kawan-kawan numi sihat selalu dan bahagia hendaknya. Hari Jumaat yang barakah ni numi ada benda nak share kan dekat korang..
Pagi tadi kan, sekitar 3-5 pagi tu numi dapat satu mimpi yang sungguh aneh.Numi bermimpi yang numi di sahkan hamil. 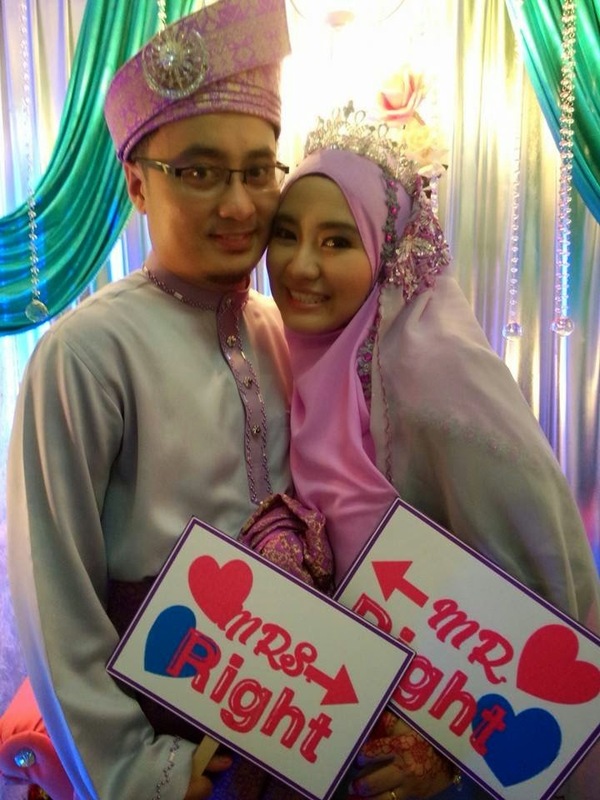 Dalam mimpi tu, numi dengan hubby macam dalam perjalanan ke rumah sanak saudara dia di kampong, Johor. 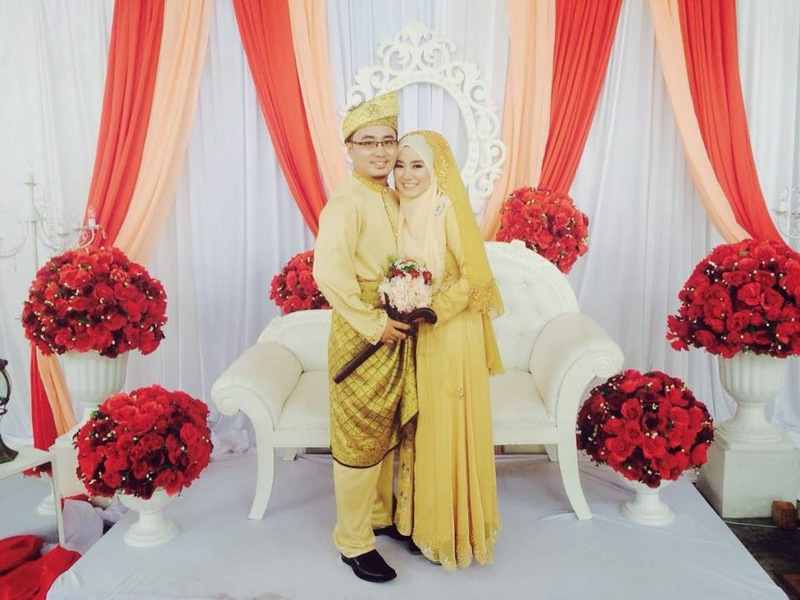 Itu adalah antara perkara yang numi tak sempat buat dengan hubby last month, sebab busy sangat. Lepas tu, bangun-bangun. Jam dah 7.11 pagi..
Ambik engkau.. terus numi mandi dan solat Subuh. Sampai je ofis terus gigih mencari maksud di sebalik mimpi tu, dah kalau mengikut tafsiran mimpi, perempuan yang bermimpi di sahkan mengandung ni akan mendapat segala yang dia hajati!! Wah..Syukur, semoga segala impian numi dan apa yang numi hajati akan tercapai. Amiin..
Ok.. Itu jer nak share pagi ni. 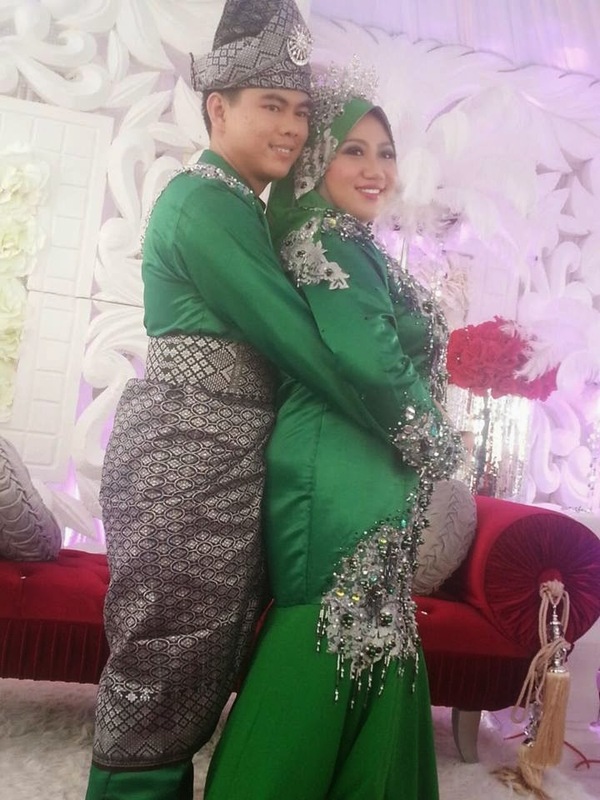 ok, meh sini nak cerita sikit, Numi ni berasal daripada Kuching Sarawak, anak sulung daripada 2 adik beradik dan seorang isteri kepada Benn. (sama nama tapi orangnya lain). Baru mendirikan rumah tangga pada June 2014. Masih belajar di UiTM Shah Alam semester 7 dalam jurusan Ijazah Sarjana Muda Kejuruteraan Kimia dan Proses. kelebihan yang ada di blog numi ni adalah numi akan menceritakan perihal aktiviti yang numi lakukan, mengupdate barang-barang yang belum terdapat di Kuching untuk menjadi panduan mereka dan bercerita tentang kisah hidup (pengalaman) berada di Tanah Malaya ni bersama suami tercinta. rakan-rakan banyak mengetahui aktiviti harian numi, apa yang numi lakukan dan apakan pertandingan@segmen yang boleh mereka menangi. Impian numi adalah untuk menjadi blogger terkenal. Dan melalui penulisan numi boleh menjana kewangan dan menjadikan blogging sebagai satu carrier yang berjaya. In Sya Allah 2 tahun lagi..! 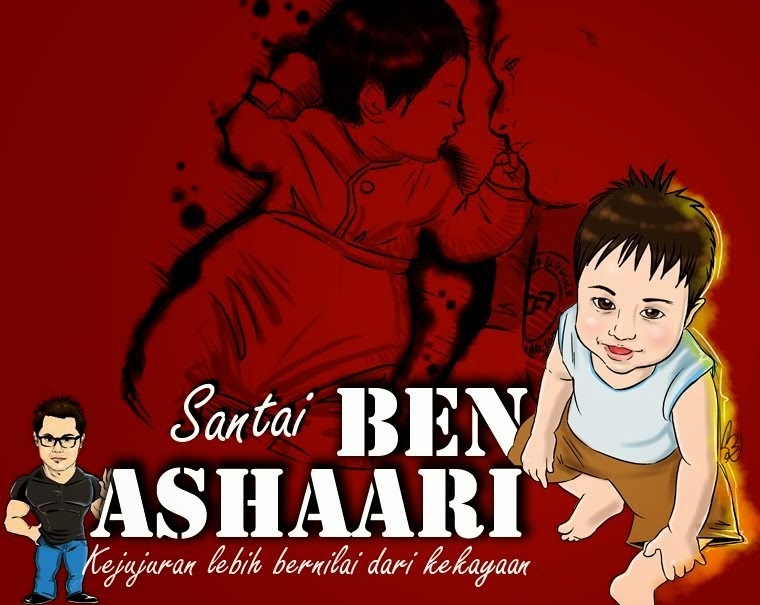 haaa, Numi dah ceritakan serba serbi tentang numi, kalau korang nak join, boleh click banner kat atas tu yer. Korang apa kabar semuanya? Numi 2 hari ni agak busy sikit, sebab nak uruskan beberapa hal di UiTM SA. 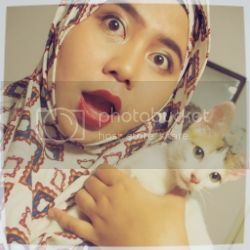 Dalam busy2 tu sempat jugak numi dengan Hubby pergi menonton Tayangan Perdana The Boxtroll semalam di TGV 1Utama, Terima kasih kepada Nuffnang kerana member tiket percuma kepada Numi. Ok meh numi nak review sikit Movie The Boxtroll tu, kalau mengikut rangking 1-10, Numi leh bagi 8 lah. Sebab jalan cerita nya memang menarik dan penuh dengan benda yang comel2. Bagi numi lah, siapa yang tak rasa Egg(Telur) budak kecik yang di bela oleh the Boxtroll th dari baby sampai dah berumur 10 tahun membesar. Dengan gigi satu dan dia akan bermain music dengan Fish (Ikan) Boxtroll yang menjaga dia. Elemen kekeluargaan dan persahabatan antara the Boxtroll dan manusia dan konfik antara manusia yang tamakkan darjat dan pentingkan asset kebendaan selain dari family di tampilkan dalam filem ini. Orang yang menganggap dirinya sebagai pembersih parasit(The Boxtroll) adalah watak antagonis dan dia memanipulasikan semua watak dengan bakat lakonan nya menjadi Madam Frou Frou. Seorang sroty teller (pencerita) di pekan Cheeseberg, yang membuat cerita kononnya the Boxtroll ni adalah makhluk jahat. Tapi sebenarnya penduduk di tipu. Ok, Overall filem ni best! 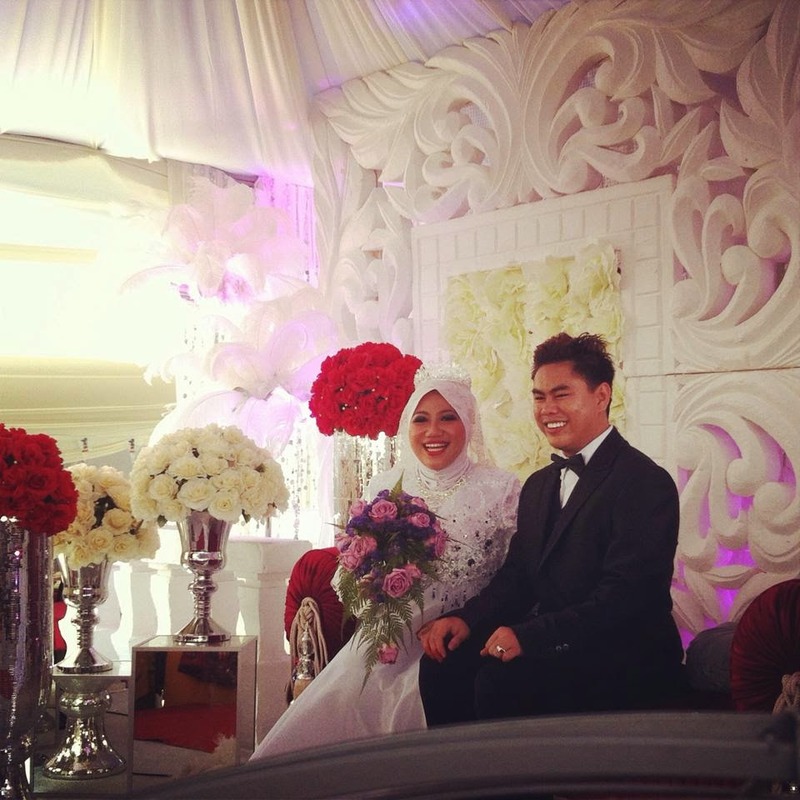 My hubby kalau cerita boring dia akan tidur. Tapi ni tak, maksudnya best lah.. lagipun siapa tak suka tiket free.. Tq Nuffnang. Lain kali numi participate, tolong bagi lagi yer tiket free. Numi harap review ni boleh melayakkan Numi memenangi tiket tayangan perdaya The Equilizer tak lama lagi. Tak sabar den.. !!!!!! So korang yang tak tengok lagi Filem the Boxtroll, pergilah menonton di pawagan terdekat sekarang. Hai you olls.. hujung minggu korang bagaimana? Best tak? Numi hujung minggu ni agak busy sebab teman hubby kerja di Jalan Imbi. Hari sabtu tu tak berapa best sebab kena tunggu kat bank tanpa buat apa-apa. Just tunggu orang habis kerja. Huhu. Hari Ahad tu lah yang best! Hubby bagi perlepasan untuk numi keluar jejalan di Time Square. Macam itik aku jalan sesorang di Time Square. Lama dah tak menjejakkan kaki ke sini. Last dulu masa keluar dengan classmate dulu. Wah! Orang di sini memang ramai gile. Numi yang besar ni pun nampak kecik bila dah bejalan dalam kelompok orang ramai ni. Ok! Tujuan utama nak g sini adalah untuk beli Sandal Baru!!!!!!!!.. yang Murah daripada Hunny Bunny..
Jalan punya jalan numi berkenan dengan kasut getah ala2 Hunny Bunny ni. Ye ke nama dia hunny bunny. Aku main hentam jer!! Next aku masuk kat gerai2 luar tu. Tengok brand, cutting, dan jenis yang sama. Tapi harga dia jauh lebih murah.. Murah RM20 tawwwwwwwwww!!!! Siapa tak nganga mulut.. aku pun terus lah memilih tanpa toleh kanan dan kiri. Hihi..
Ok, dah try. Nampak cantik di kaki. Kachingggg! RM30... dapat sandal baru. Yang selesa di pakai dan sangat berpadanan dengan jeans..
Next numi pergi pulak ke tempat HANDBEG.. uiiii!!!!!!! !, perempuan kalau dapat tengok HB macam tengok apa. Memang heaven lah! Next, numi nak p carik baju untuk Encik Abang. Ni untuk bagi hadiah anniversary setahun perkenalan la konon2 nye. Tapi bagi 2 hari advance. Hehe. Takpe,, siap pilih baju untuk dia, satu polo-T dan satu kemeja. Syukur. Numi sempat jugak grap sepasang jeans biru gelap untuk guna ke kekuliah nanti. Ingat nak grab dua, tapi akal numi mengatakan tak pe, len hari kita shopping lagi yer..
Ok set, semua benda dah beli, tinggal tunggu encik abang kita amek lagi. Muka dah peluh2 dah berjalan di Time square tu, tangan dah sampai biru, bahu dah jatuh sebelah. Hadoii. Itu jer cerita shopping numi hari Ahad lepas, nanti numi update untuk buat my first Giveaway.. tengah nak fikir nak bagi apa. Tunggu update dari numi ok. Bye..
Another Giveaway yang cukup2 best.Boleh menag Cash RM300,, Siapa tak nak kan..
Jom join GA ni, hadiah yang cukup menarik menanti korang. Just click banner kat bawah dah follow instruction yang cukup mudah dari pihak penganjur. tak pe lah.. apa-apa pun just pretend nothing had ever happen! ok numi..
Assalamua’laikum..Korang nak tahu kan, hari tu numi ada update tentang numi beli barang di Islamic Relief. Haritu numi da cerita. Percaya atau tidak, Numi Cuma membelanjakan RM25.00 untuk membeli item-item kat bawah ni. Nak tahu? Jom scrool kat bawah ni ok..
Ok tak barang2 yang numi belikan tu? Murah kan, kita kat Islamic Relief, membeli sambil menderma. Semua hasil jualan barangan ini adalah untuk sumbangan kepada rakyat-rakyat di serata dunia yang memerlukan bantuan. Termasuk lah Palestin..
Korang yang tinggal sekitar Bangi, boleh ke Islamic Relief di Seksyen 9 Bandar Baru Bangi untuk mendapatkan barang2 yang best dengan harga yang menarik! Kepada semua yang nak fly ke KL dengan menggunakan Air Asia, jom kita ke website dorang sekarang. tengah ada Promosi!!!!!!!!!!!!!!!! !